There are a lot of issues at stake in Olivier Cousin’s resurgent court case. To read about the whole mess, you could check out our old posts here, and for the latest updates, read Jim Budd’s post here. The heart of the issue is not a mere case of overly tyrannical wine labeling laws, or even the bureaucratic AOC disaster. The real problem, and the one Olivier cares most about, is the government sponsored funding of industrial polluters and the fall of the small farmer and winemaker in France. Many of these truly industrial wines from France are a product we don’t encounter in the United States. When you go to a supermarket in Paris, you will see wines from every prestigious appellation, including Pomerol, Sauternes, and Saint-Emilion, all at a price of 10 euros per bottle or even less. Due to the ranks of American importers combing through the mass of French wines searching for quality, most of these mass produced wines don’t make it to the United States. Here in the US these appellations command top dollar and are thought of as rare gems, pillars of the AOC system. But the reality is that the AOC system has been diluted and corrupted by these sham wines, until it has become almost meaningless. The same is true of the wines of Anjou, Olivier’s homeland. The bulk of wines from this area now come from overproducing vines doused in herbicides and pesticides, and the reputation of the wines has tumbled into obscurity. In a letter he wrote in 2011, when this whole fiasco started, Olivier recalled how before 1980 his small town, Martigné-Briand, comprised 120 winemakers, 800 harvesters, 5 bistros, and 800 hectares of vines. Today there are 40 agro-business wineries, 2 vine growers, 40 harvesters, 2 bistros, and 850 hectares of vines.” The Layon river, once one of the cleanest and most beautiful in France, is so polluted you can’t even swim in it anymore. If the AOC system is supposed to ensure quality and standards of wines, why does it promote these low quality, industrially produced wines? It seems the answer must lie, as it does so often these days, with the power of big business and industry, and corruption in the systems that partner eagerly with those businesses. 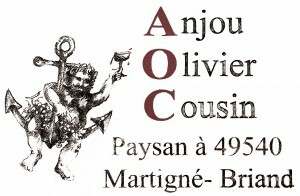 In 2005, the final straw for Olivier was when the AOC allowed chaptilization and acidification in Anjou wines, something that had never been permitted before. For him the AOC had crossed the line and was now fully in support of the very same companies that destroyed his local river and forced out the small family run wineries. 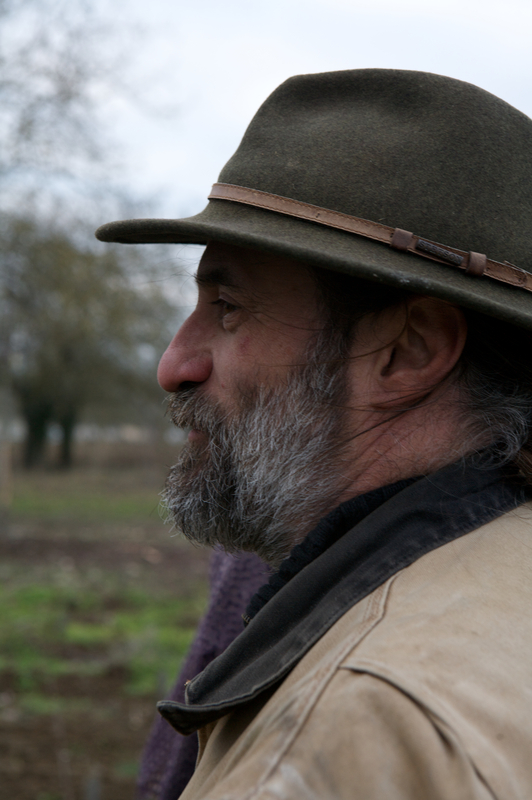 Olivier left the appellation at that point, but in protest, he decided to leave “Anjou” on the labels. He hoped to point out how ridiculous and unfair the system was, and at the same time felt he should be able to tell his customers where his wine came from. Always one with a sense of humor, he later adorned his boxes with “Anjou Olivier Cousin”, with AOC in big red letters. The AOC rightly saw these moves as a threat to their dominion, and that’s why they’re attempting to teach a lesson and make an example of Olivier. For those of who believe in French wines of quality and aren’t interested in the needs of big business to market and sell their products, this issue is enormously important. This is a David and Goliath fight Olivier has taken on. He risks his entire livelihood and even prison time for his protest, and for these actions, we commend him. If you feel the same, why not buy a tee-shirt to help support his defense fund?